The Geometric designs above Building 1 on the west side of the Church Group. The designs are called “step=fret” motifs and are common across the Americas – north, central and south. They are also not dissimilar to the ziggurat and pyramid designs of Mesopotamia and Egypt. These designs were created by slotting pieces together like a jigsaw without any mortar. 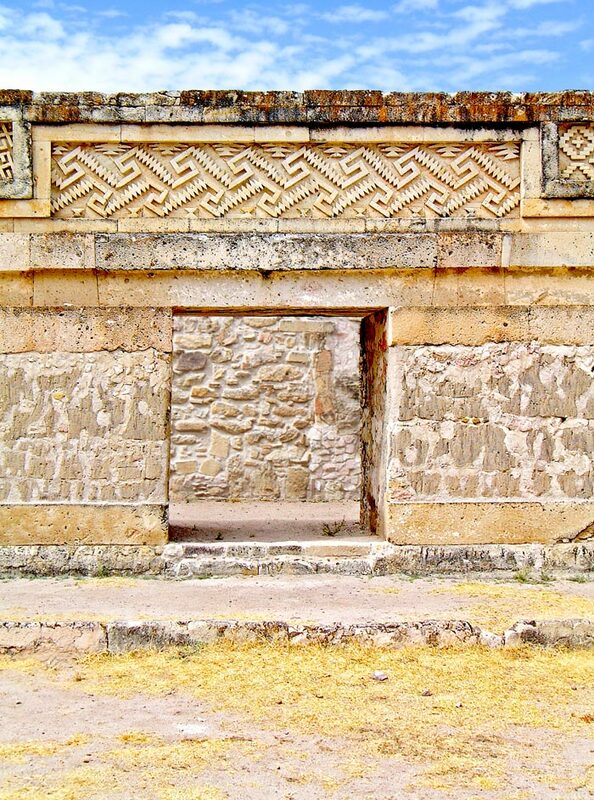 The tightness and complexity without mortar means that the pieces can flex during seismic activity which has prevented them from breaking apart over the past 700 years.